Priyanka Chopra's Mumbai Home Is Lit Up Like The Ultimate *Shaadi Wala Ghar*! The massive Nickyanka wedding is just around the corner and no we can't keep calm. The happy Bolly-Holly couple is all set for their big, fat Indian wedding in Umaid Bhawan, Jodhpur and we're so happy for them. Priyanka Chopra's residence in Mumbai has been decorated like a shaadi ka ghar and it looks beautiful. The golden fairy lights were twinkling all night and it looks like B-town just can't wait for the wedding celebrations to start. Our desi girl, PC and our pardesi jiju arrived in Delhi for the festivities and though we still haven't got an official wedding date, reports suggest that it's from the 28th of November right up to 3rd of December. Yeah, now you understand why we were calling big, fat, and grand!? We're sending all our love to the almost married couple. Nick and Priyanka you guys make a gorgeous couple and we wish that your smiles last a lifetime. 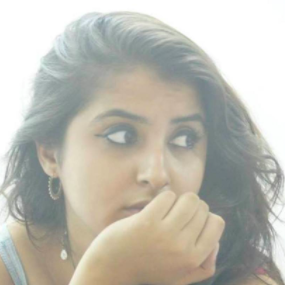 For all the latest updates on Nickyanka, stay tuned here. 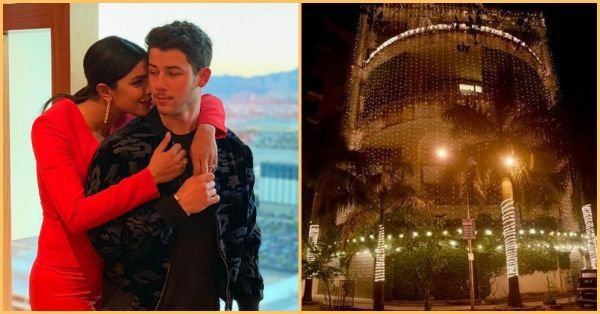 Also Read: #Nickyanka: Here's How *Pardesi Babu* Nick Jonas And *Desi Girl* Priyanka Chopra Fell In Love!